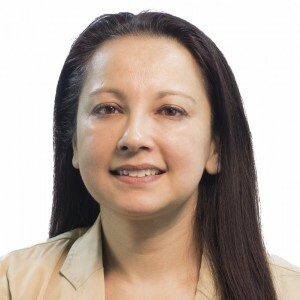 Dr. Joshana K. Goga is the interim director of clinical pharmacy services at Sheppard Pratt Health System serving as the liaison for all clinical programs. 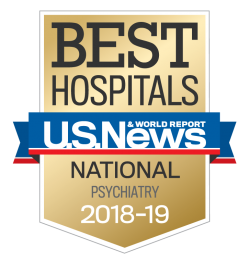 In addition she serves as a clinical specialist collaborating in the management of medication regimens for patients with psychiatric diagnoses on the geriatric inpatient service line. In her research role, she serves as a contributing author for the Stanley Research Foundation; the group’s work currently focuses on the use of probiotics to reduce the rate of readmission in patients with bipolar disorder. Her past publications focus on deprescribing and lean methodologies to improve medication management across the health system. Dr. Goga provides educational training for staff, patients, students and residents as a Clinical Associate Professor at the University Of Maryland School Of Pharmacy. She earned her B.S. and Doctor of Pharmacy at University of Buffalo School of Pharmacy. Dr. Goga completed her primary care residency at University of Buffalo, and her psychiatry residency with the Veterans Administration. She is a board certified psychiatric pharmacist and also certified as a Green Belt Lean Six Sigma. Goga J, Keshishian A, Kutzer D, Walters JK. Chronic Pain Management With Ziconotide Induces Suicidal and Homicidal Ideations. Letter to the Editor. Annals of Pharmacotherapy 2018; 1-2. Dickerson F, Adamos M, Katsafanas E, Khushalani S, Origani A, Savage C, Schweinfurth L, Stallings C, Sweeney K, Goga J, Yolken R. Adjunctive probiotic microorganisms to prevent rehospitalization in patients with acute mania: A randomized controlled trial. Bipolar Do 2018; 1-8. Lumish R, Goga JK, Brandt NK. Optimizing Pain Management through Opioid Deprescribing. Journal of Gerontological Nursing 2018;44(1):9-14. Goga J, DePaolo A, Khushalani S, Walters JK, Roca R, Zisselman M, Borleis C. Lean Methodology Reduces Inappropriate Use of Antipsychotics for Agitation at a Psychiatric Hospital. Consult Pharm 2017; 32:54-62. Goga JK. Dignifying Dementia: Accepting the Limitations of Medications. Ment Health Clin. 2014;4(4):73. Goga JK. Toolbox: Management of Behavioral and Psychological Symptoms of Dementia. Ment Health Clin. 2014; 4(4):83. Goga JK, Tran Q, Walters S. Treating the Neuropsychiatric Symptoms of Dementia: A Case Based Approach. Ment Health Clin. 2014; 4(4):82. Dickerson, F.B., Stallings, C., Origoni, A., Katsafanas, E., Savage, C.L.G., Schweinfurth, L.A.B., Goga, J., Khushalani, S., Yolken, R.H . (2014). Effect of probiotic supplementation on schizophrenia symptoms and association with gastrointestinal functioning: A randomized, placebo-controlled trial. Primary Care Companion to the Journal of Clinical Psychiatry, 16(1).